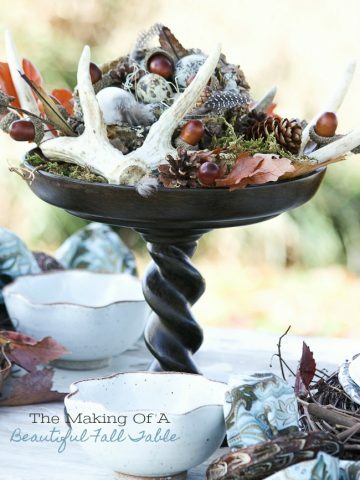 THE MAKING OF A BEAUTIFUL FALL TABLE AND MORE! 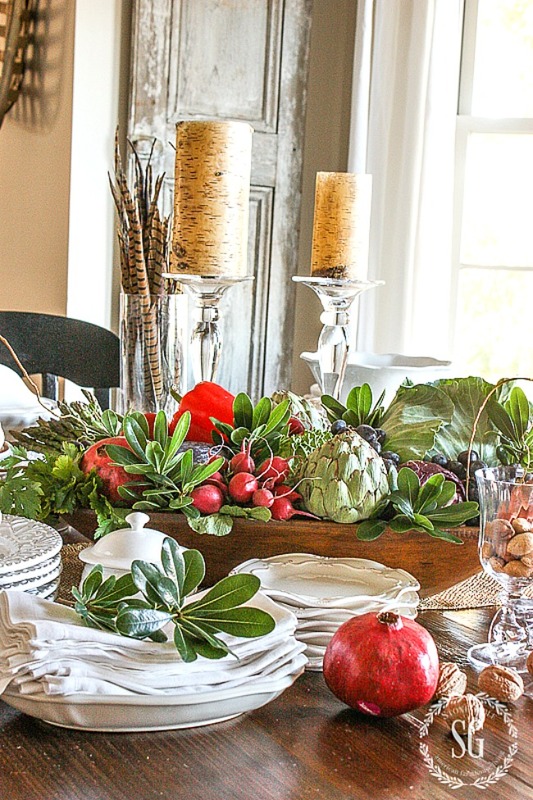 Right now is the perfect time to set a beautiful fall table! The elements we can use are rich and warm and so welcoming. I have lots of ideas that are very easy to incorporate on your own table. Make it simple or formal or somewhere in between… just set one! 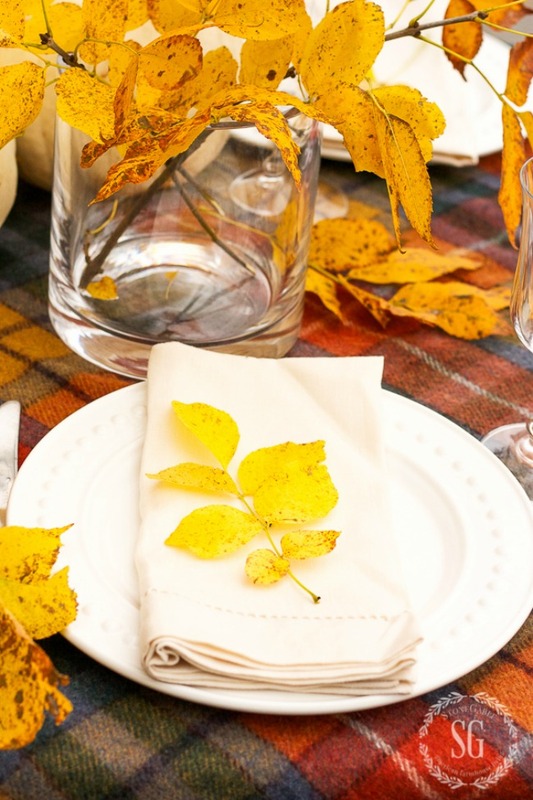 Let’s set an amazing fall tablescape! Today on Decorating Tips And Tricks we are talking about Creating Autumn’s Glow. As the days get shorter we are celebrating the fact that we can use candles and more in such interesting and pretty ways. Today’s post is long and filled with lots and lots of ideas! 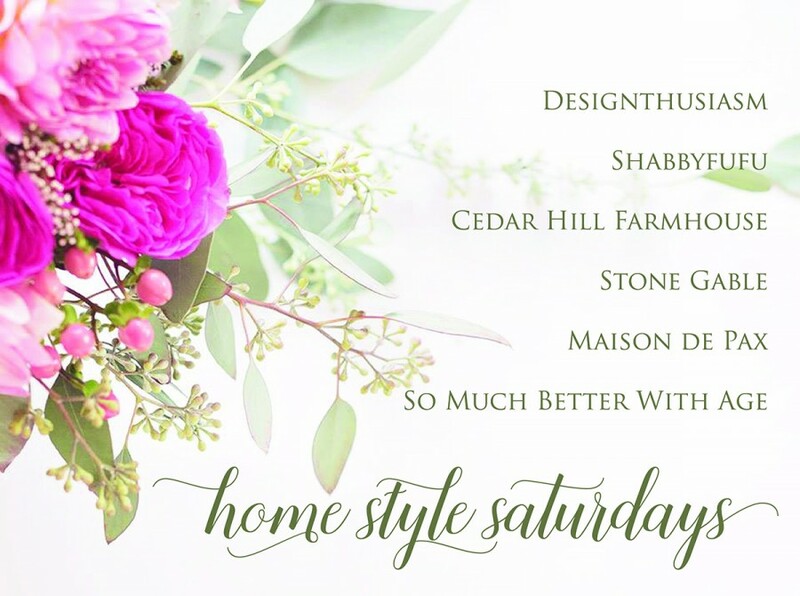 It’s Home Style Saturday and my friend’s and I are pulling out our best-archived posts for you to see. Today is all about fall for me. 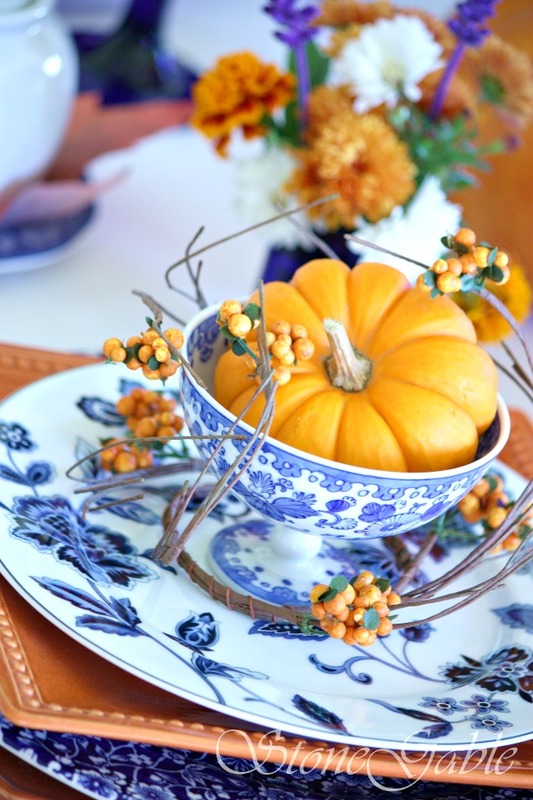 Chick on my link below to see my fall table inspiration! Thank you, Lory, at Designthusiam for putting all the fun together! Now, let’s talk fall tables! These ideas will work for Thanksgiving tables too. One of the greatest little pleasures in life, for me, is setting a beautiful table! I love when I can take my time and set it in advance. It is a lovely creative endeavor! 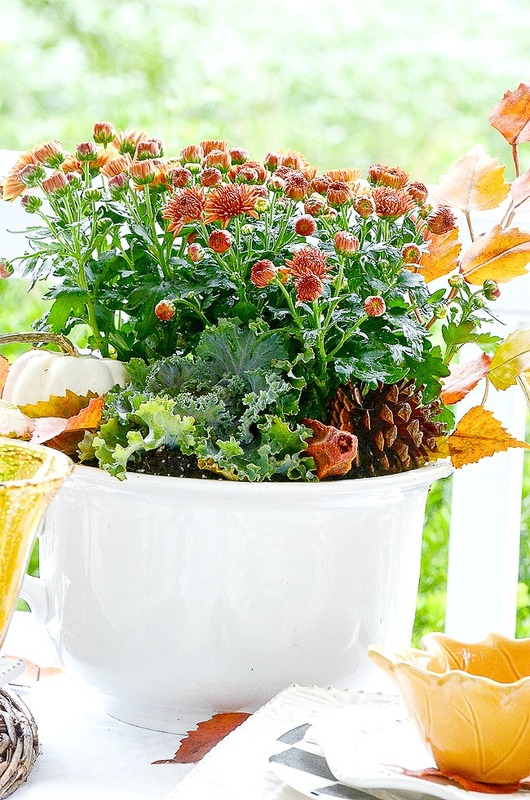 And setting a fall table should be on your fall bucket list. 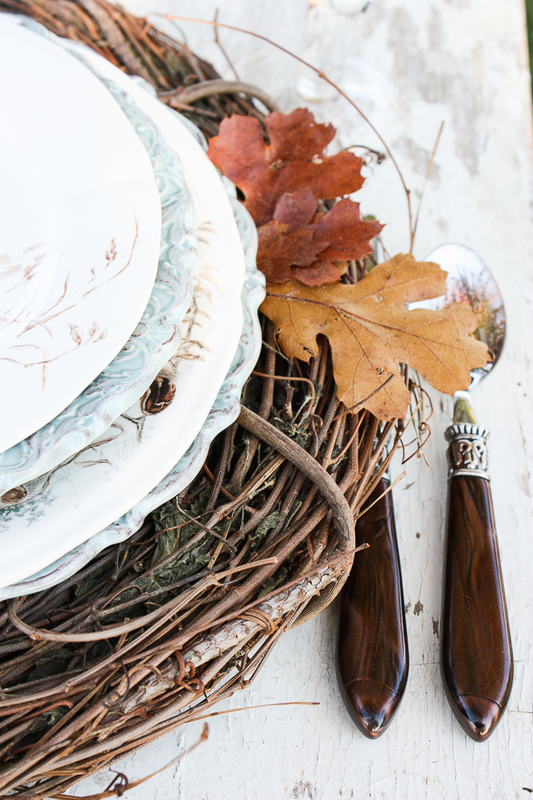 Get those dishes and other tableware items out of the cupboards and set a beautiful fall table! 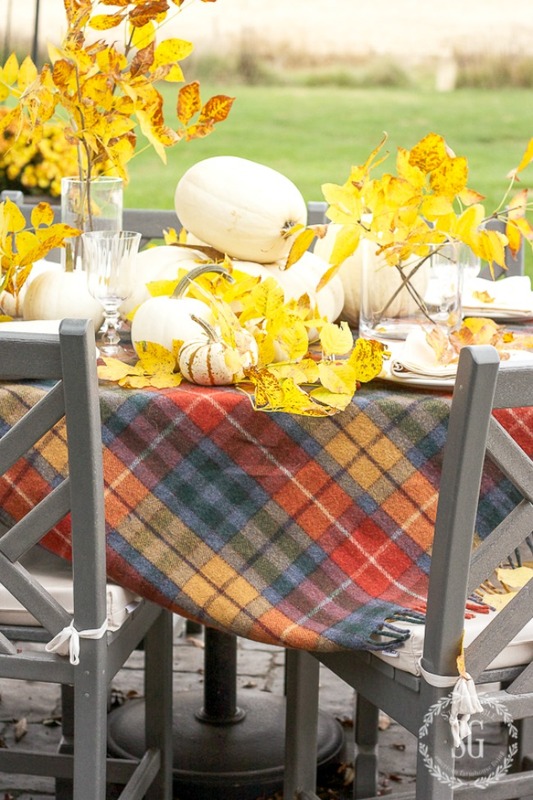 What could be prettier than using a tartan throw as a tablecloth for a fall table! A tartan will automatically set the mood and give you a beautiful color palette to work with. If you don’t have a tartan throw in the colors you like how about a pashmina? What we really want to put down on our table is something rich and warm and filled with seasonal color. Creative, right? You can see my Ancient Buchanan Car Rug (Throw) HERE. 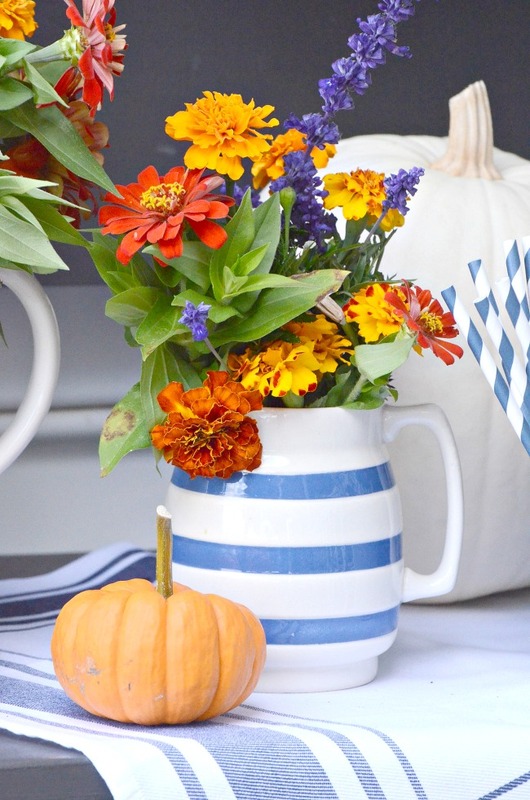 You don’t need a whole set of fall dishes to create a handsome fall table. Just a set of fall inspired bowls or salad plates will work! 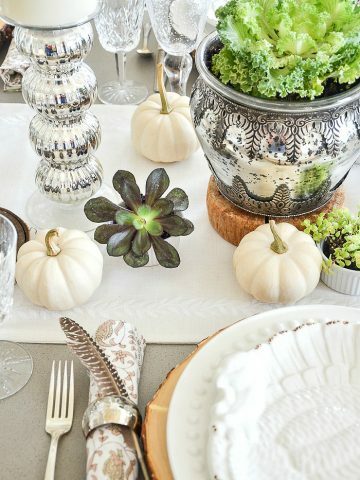 That little nod to fall will set the mood for the entire table! And you don’t have to spend a lot of $$$ on them either! 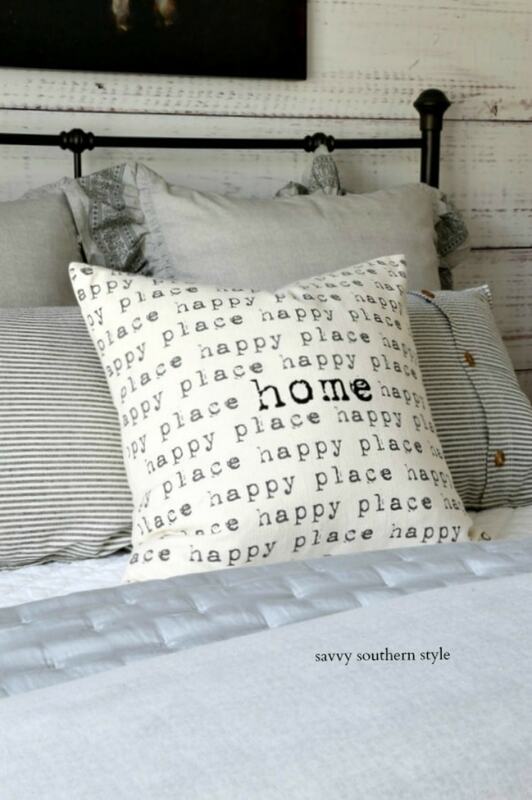 My favorite haunts for finding great seasonal dishes are HomeGoods, TJ Maxx, Marshalls, Pier 1 and Wayfair! My one caution would be, don’t get too cutesy! 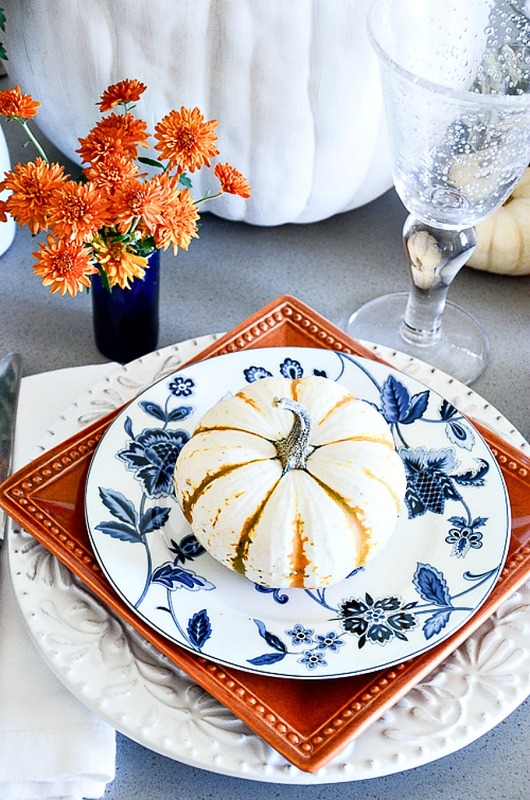 So many plates with fall motifs look juvenile and quirky. 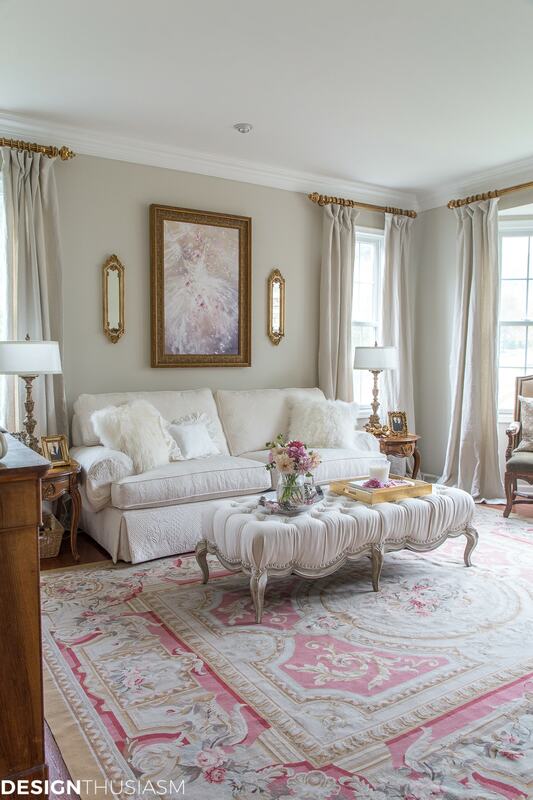 Stay away from those if you want to set a more elegant, put together table. If you have a great source for seasonal dishes please tell us about it in the comments. If collecting leaf dishes and acorn plates is not your thing then how about collecting dishes that lend themselves to fall colors. 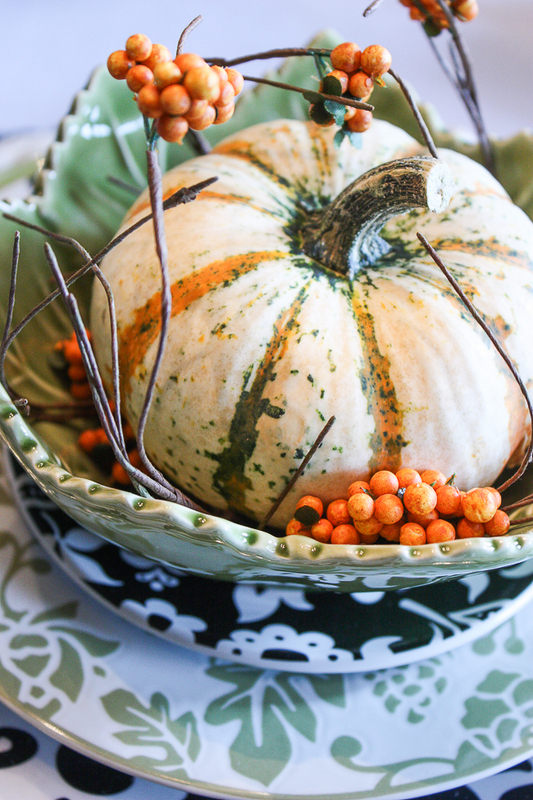 Try using dishes in beautiful fall color combinations! 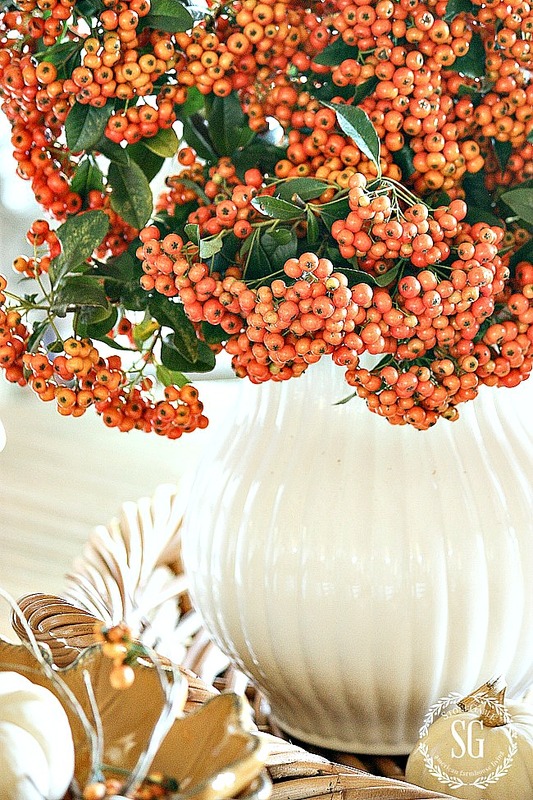 Then use fall elements around them and you will have a luscious fall looking table. 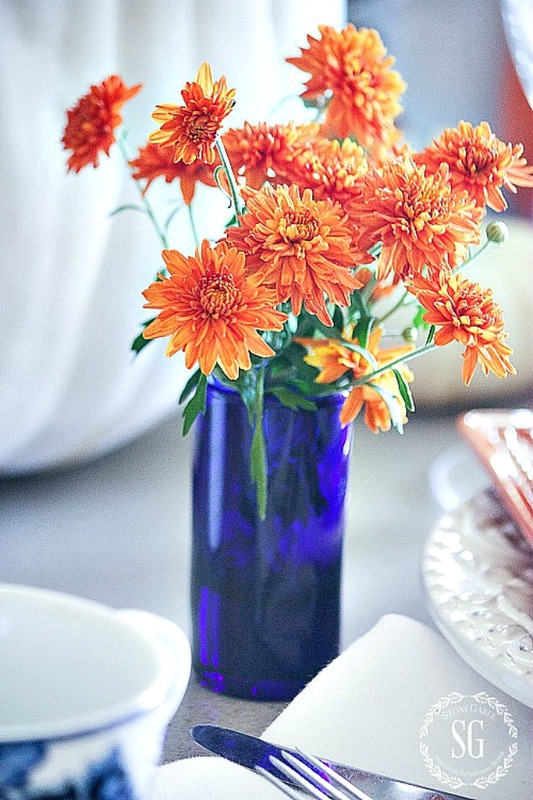 I think mixing blue and white with orange can make a fall table look very sophisticated. Give it a try! That’s one of my best fall design tricks! I have a set of square rust colored dinner plates I picked up at Pier 1 years ago and use them every fall! 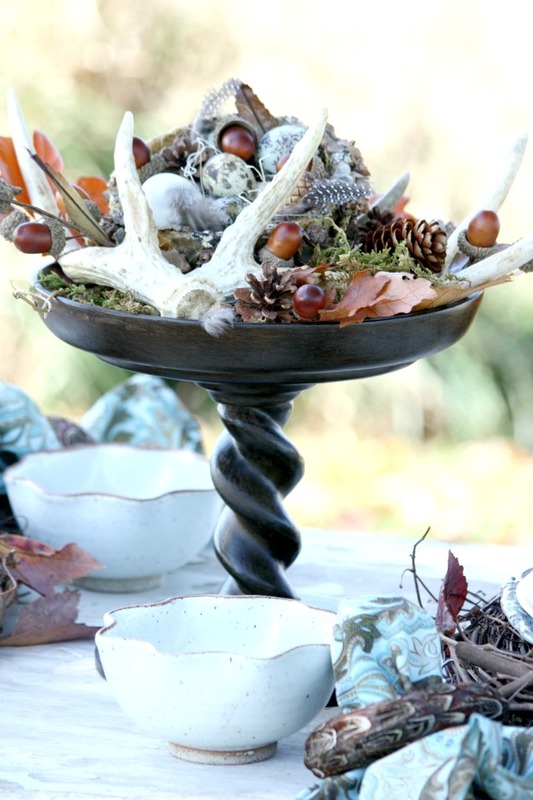 Natures perfect fall table element!!!! 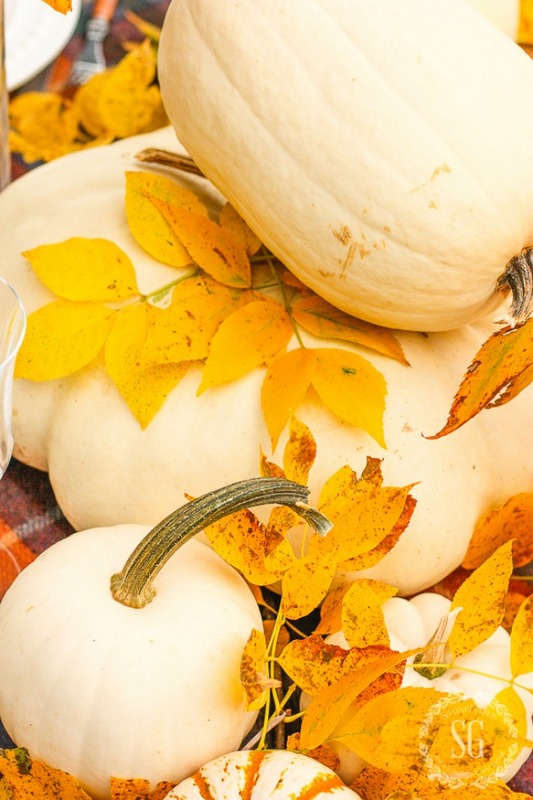 Use them and use them liberally on a fall table! I go a little bit heavy handed when it comes to fall tables and pumpkins! I adore pumpkins and this is the time of year I let them shine! All shapes and sizes will work together on a table. As for color, most of the time I use the same color pumpkin on the fall tables I set. Oh yes, please! Fall chargers should be very textural and organic! This time of year is perfect for woven willow chargers or anything natural! What a gorgeous way to add layers of design and visual depth! I get lots of email about chargers. Number one asked “charger question” is, “What do you do with them when dinner is served”. Great question! I usually whisk away all the dinner plates after we sit and have a glass of wine at the table. Then put the dishes on the buffet when a meal is serve-yourself or use the dishes without the chargers when I serve my guest each course.If the charger is really a placemat I leave it on the table but if it acting as a true charger then that’s different. If the charger is really a placemat I leave it on the table but if it acting as a true charger use the solution above. 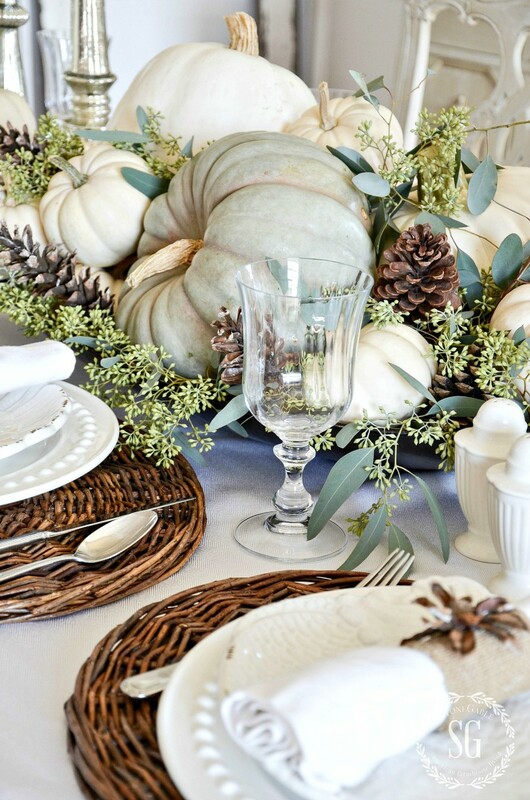 Fall elements should be the stars of a seasonal tablescape! There is a bounty to pick from! 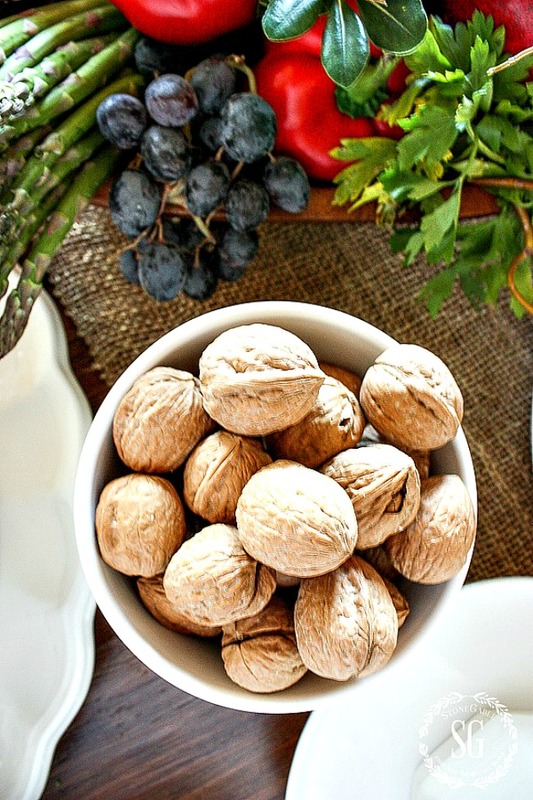 From literally fall soup bowls to fall nuts! 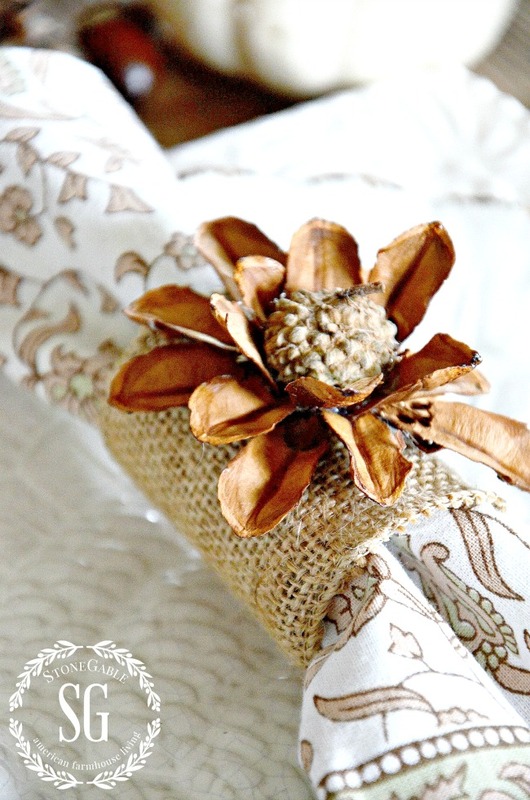 The napkin rings above were made from a section of a toilet paper roll covered in burlap and the flower was made from the top of an acorn and pinecone arms. You can see this very easy DIY HERE. One of my favorite ways to add a little bit of a brambly look (and you know I love a brambly look) is to use candle rings under things on my table. Not under candles though. 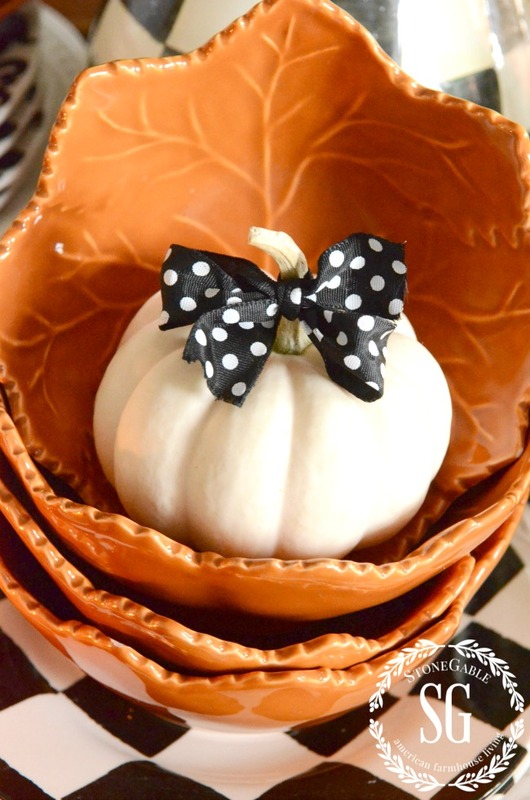 Under a pumpkin or under tiny pedestal bowl! Instant bramble! 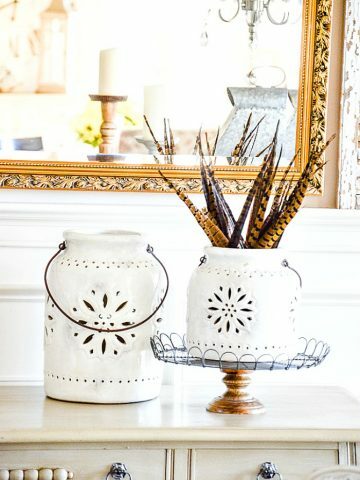 These blast-from-the-past table items can be used in really amazing new ways! If you use real organics elements just know that some don’t last very long. Leave look great for a few hours but then they start to roll and get dry looking. So cut them and bring them in just before you use them on your table! They should look pretty for the duration of your gathering. 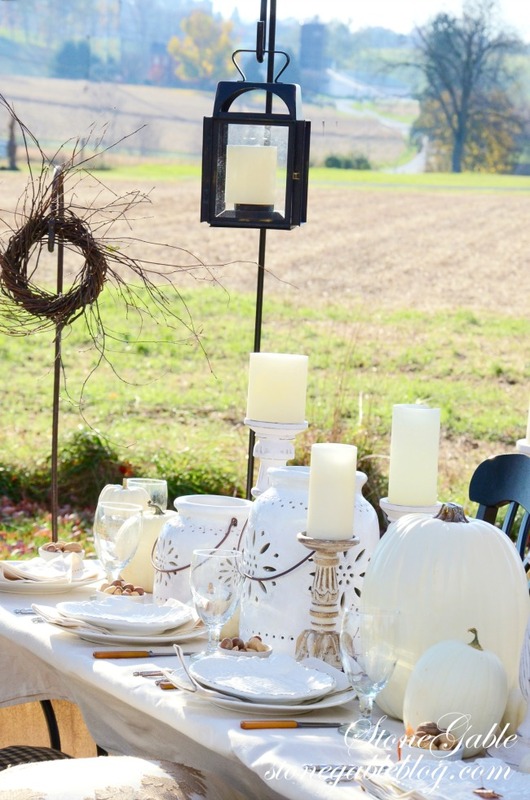 Load up on candles and lanterns when setting a fall table. The evenings are growing short and candleglow is always a better option than indoor lights! I like to use different candlesticks and holders on my table but all the same color candles. Very important!!!! You can use different sizes of candles but make sure they are all the same color. Also don’t be afraid to add a few candlesticks to the table that don’t have candles in them. They become creative perches for mini pumpkins or a small nest filled with acorns. Empty lanterns can be filled with fall fluff too! A big grouping of candles running down the center of a table creates an almost magical mood! Talk about options! 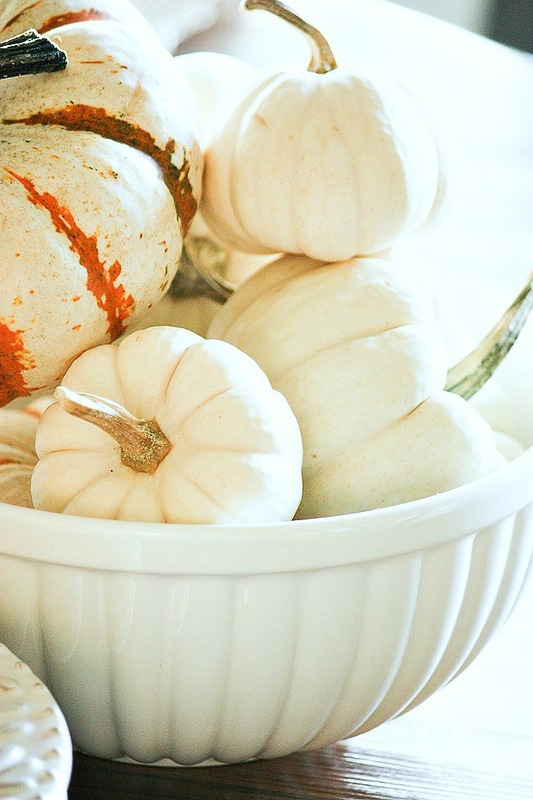 I think my very favorite centerpiece for a fall table are pumpkins! Really! The quintessential fall element! 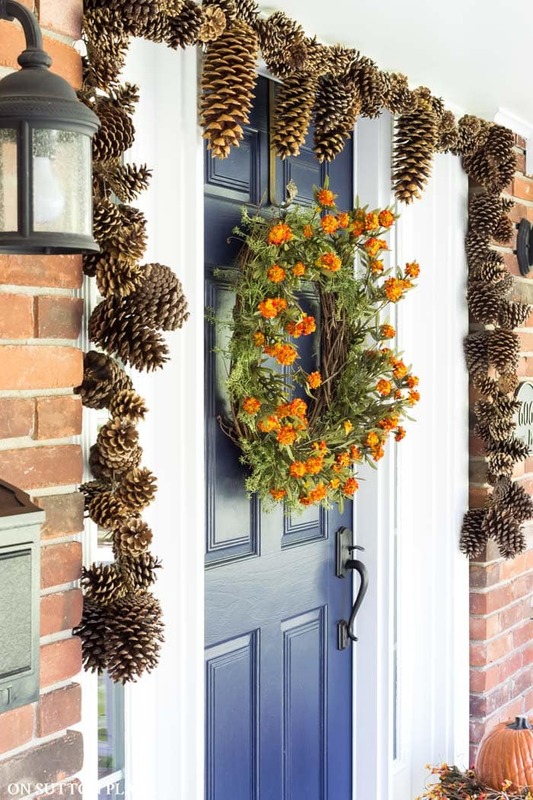 They can certainly work all by themselves but gild the lily a little and add greens, acorns, pinecones and other fall things along with them! For me, a dough bowl is a must for fall! 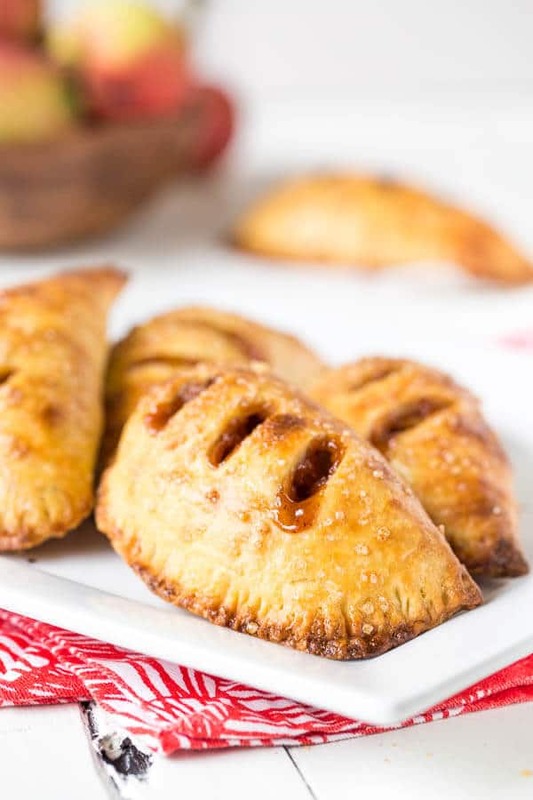 It’s organic and oozing with texture and warmth! Fill it up cornucopia style and it pays homage to the bounty of the season! What could be prettier? I know there are all kinds of “rules” about centerpieces and many are very practical. I mostly follow them for the comfort of my guests. Just make sure your guests can either see over or see through your centerpieces. OR create a beauty just for fun and replace it with a smaller one once everyone is at the table. Is is just me or do many magazines and blogs shy away from using mums on a table? Are there mum haters out there? I think mums are not very photogenic. And here’s why… they don’t photograph well on their own. They usually need a supporting cast to work along with them! When thinking about using mums as a centerpiece (and I hope you do) take them out of those dreadful black plastic pots and put them in something else!!!!! Add ornamental peppers or flowering cabbage or even asparagus ferns along with them. And wedge in a few tiny pumpkins, acorns, pinecones or faux leaves around the soil level. Ah, then your mum will be centerpiece ready! Another mum option I use often is to cut the mums right off the plant and stick them in tiny containers to be used at each place setting. So sweet! My garden is still producing beautiful flowers in the fall. Zinnias, marigolds, salvia, and mums are just a few! I cut them almost every day and bring them in to grace tables and to put them on nightstands and bathroom sinks. I also love using my heartier herbs like sage and rosemary and parsley in little vases or bottles on a fall table. They smell heavenly! 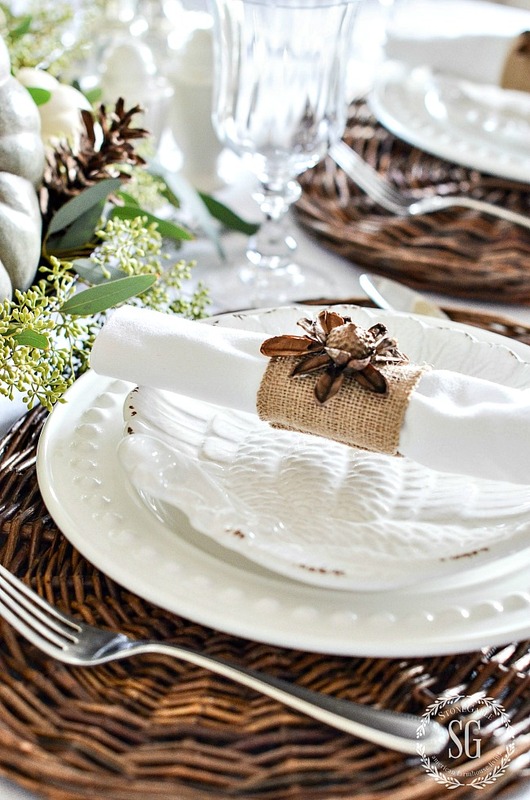 A sprig of rosemary is simplistic beauty when it is placed on top of a napkin and it is all tied together with twine! 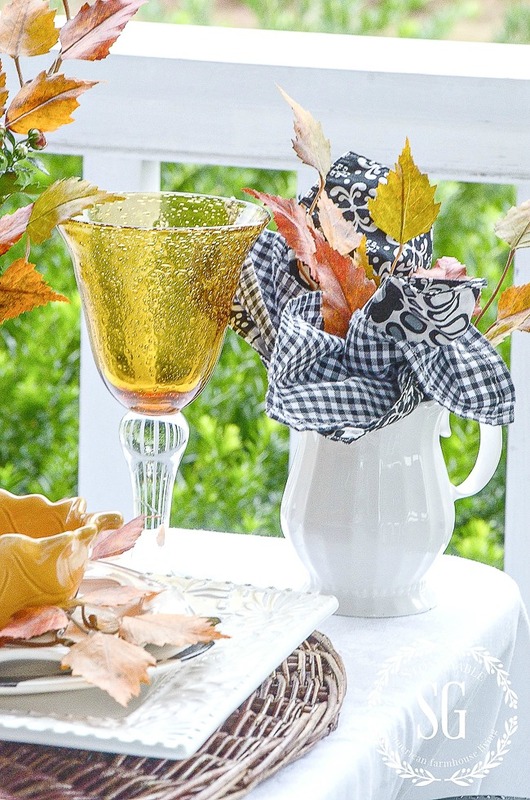 Make sure you put setting a beautiful fall table on your must-do list for fall this year! Get inspired and be creative! And set that fall table!!!! You might like to follow me on Pinterest and see what I am finding to pin every day HERE. Wow, there is SO much fall goodness here I could spend a very long time day dreaming over here on this post. Love this post, Yvonne… so much info and inspo! 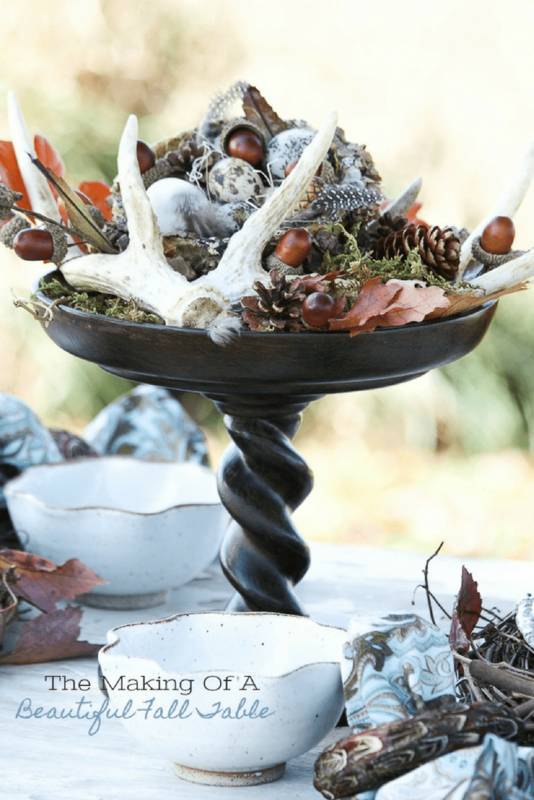 You are the queen of fall decor! Love the blues and oranges that you have been leaning towards lately! Thanks for sharing! Beautiful pics! 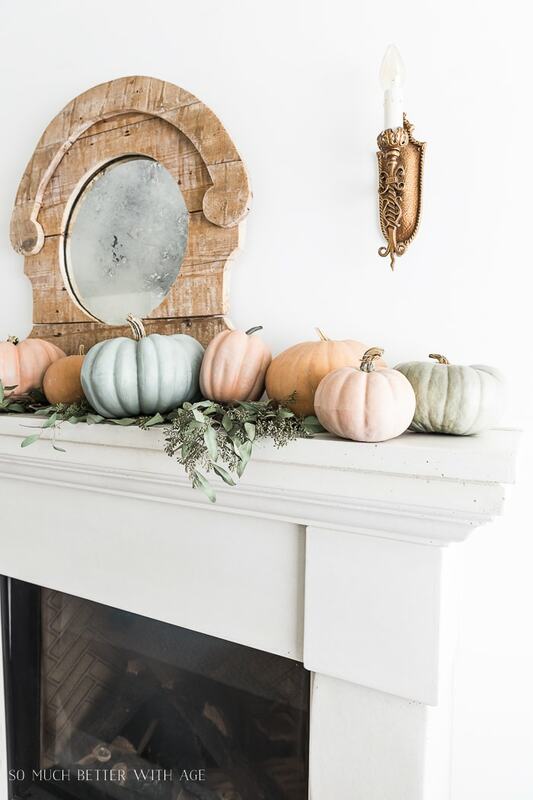 I need you to decorate my house for fall. Everything is so lovely and elegant. Gorgeous setting. This is by far my most favorite post! I can’t even tell you how the photos make me feel. Autumn makes my heart sing. I currently live in Egypt and there is nothing that says fall here. I can’t get most of the items you display but squash, nuts and pomegranates – so they will have to do : ) Thank you!!! Oh what an interesting place to live. It’s on my bucket list to visit.